He ran 1:09.36, just a tick outside the 1200m course record 1:09.29 jointly held by Miss Andretti and Malaguerra, in the William Reid after being a narrow second to Silent Sedition in the race last year. In 2017 he went into the William Reid after a fourth behind Sheidel in the Oakleigh Plate-Gr.1 (1100m) and this year he was a close third in the Oakleigh Plate behind Russian Revolution and Snitty Kitty before his Gr.1 triumph. Hellbent (I Am Invincible-Volkaspray (NZ) by Volksraad (GB), who carries an explosive 3mx3m cross to Danzig’s July Cup-Gr.1 winner and champion sire Green Desert (ex Foreign Courier by Sir Ivor), plus three lines of Sir Gaylord and one of his half-brother Secretariat in his six generation pedigree, hails from the family of 1963 Golden Slipper-Gr.1 winner and sire Pago Pago (Matrice-Pompilia by Abbots Fell (GB), whose sister Miss Pompilia is his fifth dam. He was a $95,000 buy (J. Thorpe) at the 2014 Inglis Classic Yearling Sale, while Darren Weir had to outlay $260,000 to secure his brother at the MM Gold Coast two years later. Initially trained by Kurt Goldman, Hellbent won his only start at two at Canterbury (1100m) in June 2015 and then beat a pretty good one in Le Romain when winning his first start at three over 1200m at Rosehill on September 30. He was third in the Brian Crowley-LR at his first start in stakes company next time out before an unplaced run in the VRC Coolmore (Ascot Vale) Stud Stakes-Gr.1 on October 31. He was runner-up in the rich Inglis Sprint on December 12 at Randwick and then went to Melbourne to claim the Inglis Dash (1100m in 1:03.62) on January 16. Unplaced in the Arrowfield Sprint-Gr.2 when resuming on April 9, 2016, he was put away until August 10. With the Yarraman Park team joining his ownership and now trained by Darren Weir, he won over 1000m in Melbourne first up, was unplaced in a Gr.3 later in the month and then won over 1000m at Sale and 1100m in Melbourne during September before a third behind Redzel and Terravista in the VRC Mumm Stakes-LR (1000m) on November 3. 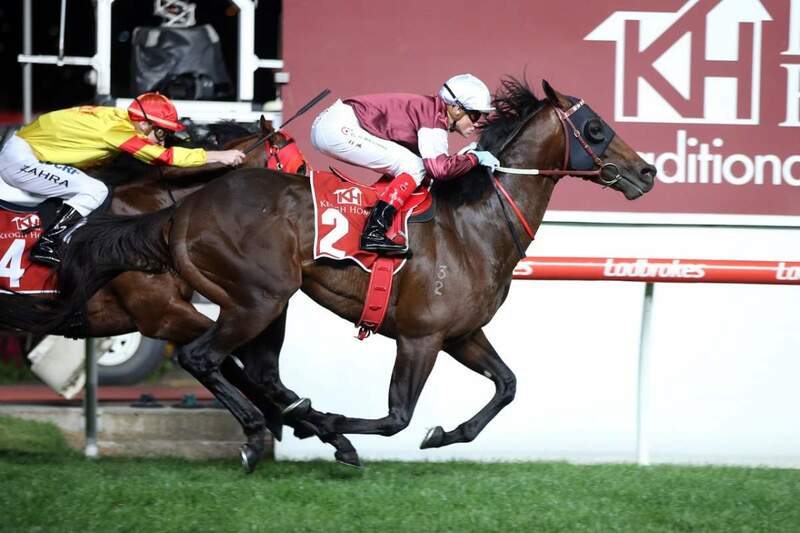 He resumed on January 28, 2017 and was third in a 1000m Listed event to Tivaci, fourth in the Rubiton-Gr.2 (1100m) behind Super Cash, I Am A Star and Chautauqua, fourth in the Oakleigh Plate-Gr.1, second in the William Reid-Gr.1, third in the Hall Mark-Gr.3 (1200m) behind Redzel and Counterattack, before heading for a spell in mid-April. He resumed in September and was unplaced twice before a fourth behind Super Cash in the Schillaci-Gr.2, in his final starts for the year. He resumed on February 10 with a fifth in the Rubiton-Gr.2 and was then third in the Oakleigh Plate-Gr.1 before bowing out with his Gr.1 win in the William Reid on March 23 with a record of seven wins, two seconds, five thirds and three fourths in 23 starts for earnings of $901,450. Hellbent was a model of consistency over four seasons of racing and more than held his own against the best sprinters in training. He went one better than his sire I Am Invincible who did not win a Gr.1 in his 13 starts, but was far from disgraced when second to the champion Takeover Target in the Goodwood-Gr.1 (1200m) at Morphettville. He won five races including the SAJC D.C. McKay Stakes-Gr.3 (1100m) at Morphettville and a Listed event over 1100m at Caulfield before retiring to Yarraman Park in 2010 on a fee of just $11,000. That price remained for four seasons before a jump to $27,500 in 2014, $55,000 the following two years and then to $110,000 in 2017 when he covered 201 mares. This year his fee jumps to $192,500. This fee rise is hardly surprising as I Am Invincible (Invincible Spirit (IRE)-Cannarelle by Canny Lad) was an immediate success at stud. The Leading First Season Sire of 2013-14, he has gone from strength to strength since then, this season sitting second on the general sires’ list behind Snitzel and he is also second by winners and stakes winners (18/23 stakes wins) and has 124 winners of 202 races and $13,128,440. 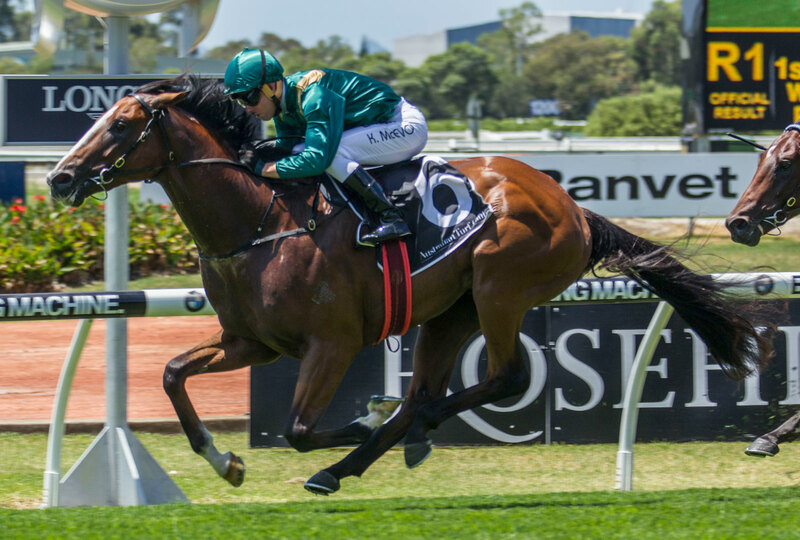 He had a stakes double at Doomben on April 21 with Whypeeo and With a Promise and he leading earner for the season is Viddora ($1,372700), winner of the Winterbottom Stakes-Gr.1 among seven victories and twice Gr.1 second. He also had eight yearlings make $1m or more at the 2018 sales. Like Hellbent, Viddora (dam by Colombia) is from the third crop of I Am Invincible and they are joined by other Gr.1 winners Brazen Beau (Snaadee), a first crop star whose five wins included the VRC Newmarket-Gr.1 and Coolmore (Ascot Vale) Stud Stakes-Gr.1 and who is now at stud for Darley with first crop yearlings very well received at the sales this year and second crop filly I Am A Star (Dixieland Band), winner of seven races including the Myer Classic-Gr.1 and runner-up in the 1000 Guineas-Gr.1. I Am Invincible has a very high 74.9% winners to runners ratio as well as a high 8% stakes winners to runners and his 289 winners have won 837 races and more than $43m. He also has six Gr.2 winners including Invincible Gem (Marwina), who is also twice Gr.1 placed, Illustrious Lad (Zeditave), Look to the Stars (Southern Halo), The Justice League (Peintre Celebre), Pure Elation (Hussonet) and Santos (Secret Savings) and Gr.3 winners out of mares by Gilded Time, Houtzen, Catbird, Stravinsky, Tale of the Cat, Choisir, Redoute’s Choice, Danehill Dancer (2) and Oratorio. He seems to appreciate further returns of Biscay (grandsire of Canny Lad), Sharpen Up and Lunchtime (dam sire of Canny Lad, also dam sire of Redoute’s Choice), more Danzig though Danehill, Sir Tristram (especially via Zabeel whose dam is by Nureyev, another horse who appears in I Am Invincible stakes winners), Zeditave and the Storm Cat line. This could be worth remembering when selecting mares for Hellbent who should really suit daughters of Snitzel and Choisir (both combining Danehill, Biscay and Lunchtime), plus daughters of Written Tycoon for those wanting to breed a sprinter, as well as daughters of High Chaparral (second dam by Sharpen Up son Kris, dam sire of I Am Invincible), for those hoping for a horse who can take that speed a bit further in distance. Volkaspray (NZ) (Volksraad (GB)-Spraypaint by Crested Wave (USA) was knocked down to Peter Moody for just $20,000 at the 2002 NZ Bloodstock National Yearling Sale and won over 1100m and 1500m in Sydney before making the same price as a broodmare prospect at an Inglis Summer Thoroughbred Sale in 2005. Hellbent, who was bred by Dr R.M. 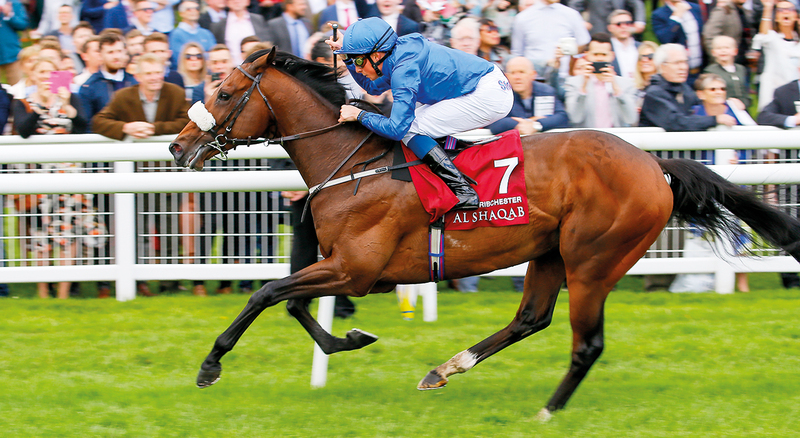 McClenahan, is the sixth foal of his dam and one of her three winners from five named foals, the others being Volation (Dubai Destination) and multiple city winner Painte (Strada). Dam sire Volksraad (Green Desert-Celtic Assemby by Secretariat) had only three starts, winning twice to 1400m in the UK at two and three and running third in the Challenge Stakes-Gr.2 behind Guineas winner Mystiko at his only other run. His half-sister Cherokee Rose was an outstanding sprinter, the daughter of Dancing Brave winning the Haydock Park Sprint Cup-Gr.1 and Prix Maurice de Gheest-Gr.1. Their stakes placed dam is a daughter of champion Irish 2YO Filly Welsh Garden (Welsh Saint), dam of Prix du Cadran-Gr.1 winner Molesnes (Alleged) and Group winner Celtic Heir (Czaravich), who also raced and stood in Australia. Imported to Windsor Park in NZ, Volksraad became a multiple champion sire, leaving 650 winners of $54.1m, his 64 stakes winners (6.4%) including 15 Gr.1 winners, among them Dantelah, Sir Slick, Velocitea, Star Satire and Vinaka. His daughters have left 617 winners of $62m, their 36SW including eight at Gr.1 level and including Newmarket Handicap winner Shamexpress, Hong Kong Mile winner Able Friend and seven-time NZ Gr.1 winner Kawai. Volkaspray’s unraced dam Spraypaint is a daughter of the Gr.1 juvenile winner and good NZ sire Crested Wave (who raced in the US as Crest of the Wave) who was bred by Fred Hooper in Florida and is a grandson of My Babu (also grandsire of Century) and from the immediate family of Gr.1 winner and sire Tri Jet. Spraypaint’s 11 named foals were all winners and included the stakes placed Deautche Express, also by Volksraad. Another daughter, Tres Rapide (Paris House) is the dam of Monashee Dancer, Rapidement and Sir Monashee, all multiple city winners in Brisbane. Next dam Pop Art won three races to 1050m and is by the fast Habitat son and good SA sire Arch Sculptor (GB) (ex Money for Nothing by Grey Sovereign), a runner-up in the Prix de Meautry and Prix Maurice de Gheest-Gr.1. Her four winners included talented sprinter Zephyr Art (Zephyr Bay), 16 wins, Group Placed in Australia and a Listed winner in the US and stakes placed Joure la Partie (Gielgud) and the dams of stakes winner Western Zip (by Zephyr Zip, second dam of Gr.2 winner Second Effort by Mossman) and Gr.2 winner Singing Star (Danasinga). This is also the immediate family of Gr.3 winner and NZ Oaks-Gr.1 runner-up Miss Selby (O’Reilly) and Waikato Sprint-Gr.1 and Easter Handicap-Gr.1 winner Viadana (Towkay). Hellbent’s fourth dam Without Pomp, by champion SA-based sire Without Fear (FR), placed at the track and produced four winners including the stakes placed siblings Zooming On and Zooming Out, both by Zooming Zone. She is a blood sister to Ballet Dress (dam of Magic Flute) and three-quarter sister to Great Romp (dam of Fappiano’s Girl. Her half-sister Café Miss produced the Spring Champion Stakes-Gr.1 winner and sire Sakana (Rassendyl). 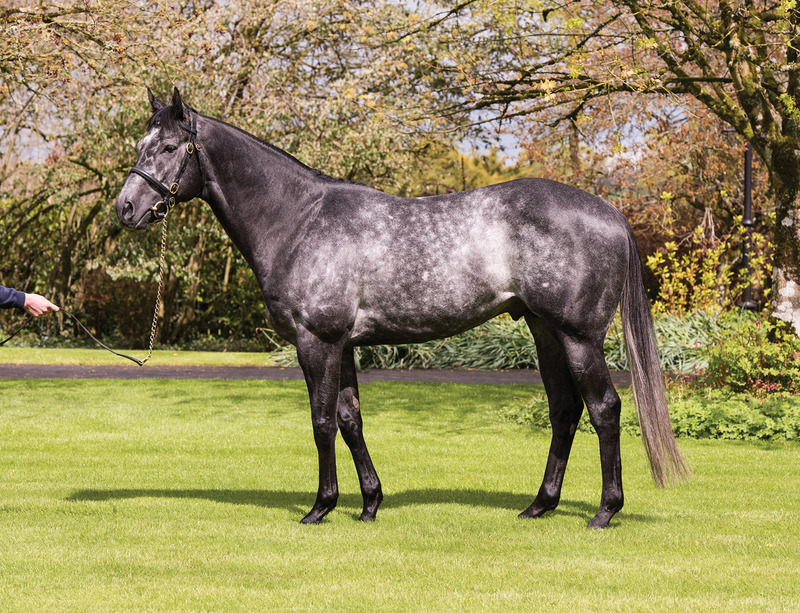 Fifth dam Miss Pompilia (Matrice) won twice and is a sister to Gr.1 winner and sire Pago Pago and stakes winner Lady Pompilia and her five winners include Group placed Miss Pompette (Estaminet). 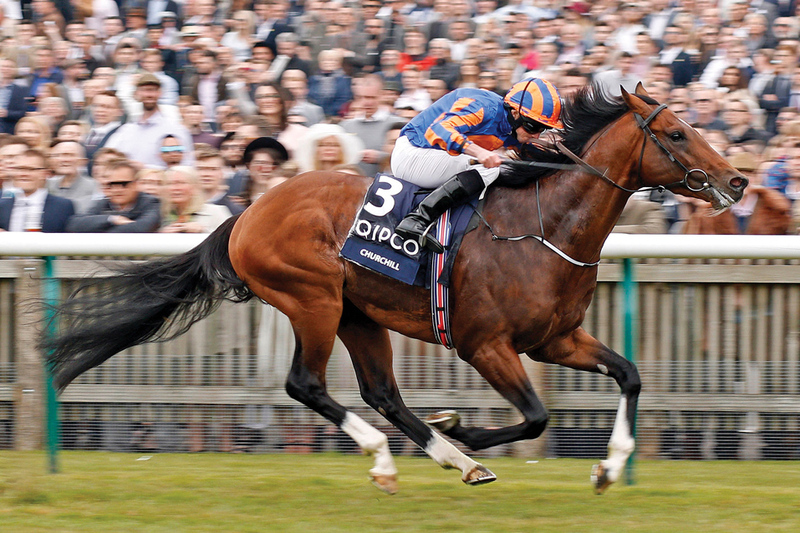 Her descendants also include the stakes winners Ginga Dude, Sovereign Appeal, La Fantastique, Navy Shaker, Outlandish Lad, He’s Fantastic, Rohatyn, Twilight Granita and Fappiano’s Son. This is family 1o and traces to White and Blue (GER), a mare bred in 1876 and Hellbent’s 13th dam. This import founded a prolific family and Hellbent’s branch is via a daughter Somniloquist (Somnus), born in Australia in 1890.